You're the BEST I've dealth with...you absolutely NAILED a diet and exercise program that works for me...you have gotten me very dialed in...I feel this was my graduate school experience in weight and health management...I can't say thank you enough. - Pete M.
Body is changing...this is the leanest I have ever been. - Mark S.
Have you been frustrated in your endeavors to reach your physique goals? Have you been working hard to gain muscle or lose fat, but feel like you've been spinning your wheels? Are you tired of constantly guessing what you should do next to achieve the body you want? Have you gained a lot of weight, and are looking for guidance? Maybe you've been making progress, but want to optimize things further? Perhaps you're just looking for accountability? My client results. 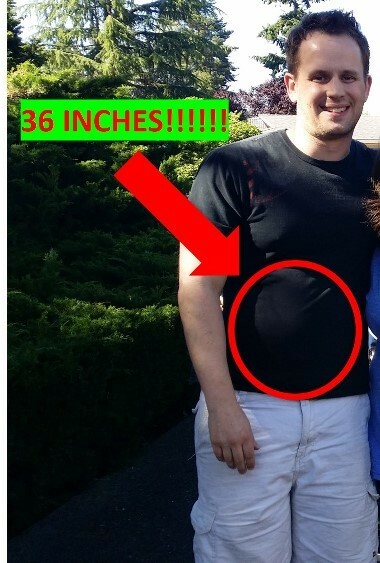 My clients' results speak for themselves. Check them out here. My education. I have a Master's Degree in Exercise Science, and another Master's Degree in Nutrition. My scientific expertise. I am an author or co-author on over 15 scientific publications related to building muscle and losing fat. I have collaborated with notable figures in the industry, such as Brad Schoenfeld and Bret Contreras. I have lectured all over the world on topics related to changing your body. Respect in the industry. I am well-respected among my peers, and am considered one of the top minds in the field. That's not me saying that; it's demonstrated through the comments of many individuals in the industry, and through my close work with some of the best of the best in fitness. James is by far the BEST coach I have ever worked with for bodybuilding. He is not only the most knowledgeable but he is also down to earth, friendly, and extremely helpful. James doesn't just answer all of my questions (you know how OCD a natural bodybuilder can be) with simple responses. Every time I contacted him he gave me a specific, detailed response that left me with so much more information than I had originally anticipated. I could go on and on and tell you that I have worked with NUMEROUS coaches. I feel with every other coach that I have previously worked with there was always an issue. Some were just arrogant and dismissive and acted like I was just another number. Some were overly pushy and wanted more money for cookie-cutter plans. I would pay a coach for a routine, look at it, and think to myself "what is this!?" Some of these plans were ASKING for injury. No coaches were as detailed and organized (and nice) as James. As a natural athlete I know I have limitations in how much muscle I can put on my body, so I have always been seeking the the most "optimal" way to train. I also wanted to be careful and train smart as I am suffering from tennis elbow. James put me on a high volume split which incorporated advanced techniques that not only gave me the volume needed to maximize muscle mass, but it also provided the method(s) to protect my joints. His training is by far the best I have ever used, and I have not seen anything as specific and effective as this ever. I will follow his training and his routine for as long as I bodybuild- because it is simply genius and it works! Stop looking for other coaches. If you want a routine, diet, or both James is your guy. He is simply the best- you will NOT find a better prep coach. Would you hire a dentist with bad teeth? Would you hire a mechanic who can't fix his own car? What makes me unique is not only my scientific expertise on body transformation, but the fact that I've been there and done it myself. Back in 2014, I looked at myself and saw that I had fallen into the worst shape of my life. My waist size had ballooned to 36 inches. Years of always trying to bulk up, but never get lean, had caught up with me. 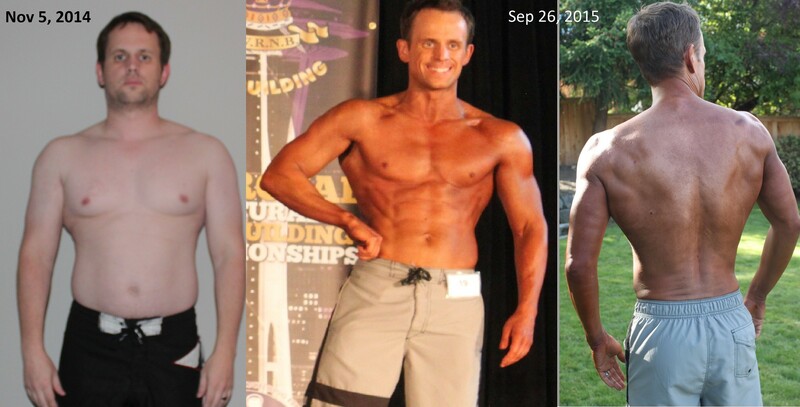 It was time to change, and so I took my knowledge of the science of exercise and nutrition, and applied it to myself. I lost 40 lbs and 7 inches off my waist. 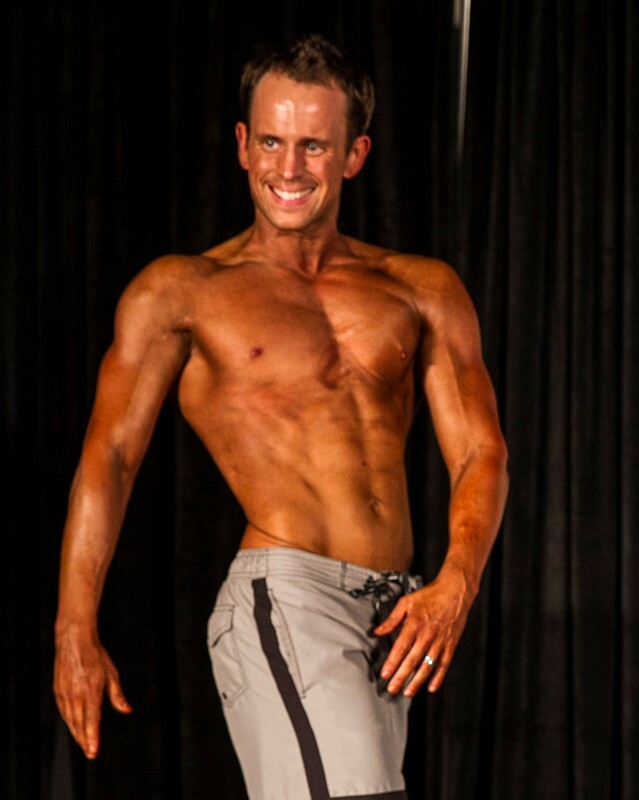 I placed second in my class in my first ever men's physique competition. I did it while being a dad to two baby girls...a 1 and 3 year old (any dads will know the challenges these ages present). I did it without giving up my favorite foods. I did it while still eating out at restaurants (occasionally). I did it only training 3 days per week for most of my journey. I did it despite setbacks like repeated illness and injury. I did it with almost no cardio whatsoever. You don't need to train 6 days per week or live off of plain chicken breast and rice to do this! So, if you're busy trying to balance time between family, work, or other obligations, I've been there. If you have a tight work schedule with limited time to train, I've been there. If you find yourself always on the go, without a lot of time to cook meals, I've been there. We all have lives outside of fitness. I can show you how to reach your goals, while still keeping balance with the other areas of your life. Now, that doesn't mean you can't be serious and dedicated to achieving your goals. I can't help you if you are not committed. But you can be committed and still be balanced. And it's not just "getting ripped" that I have experience with. If you just want to lose body fat to improve your health and feel better, I can help with that too. 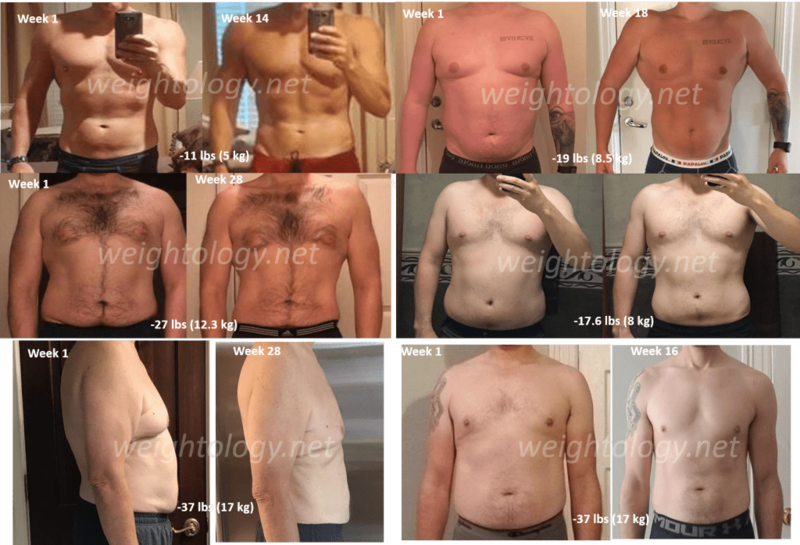 Here's my former Microsoft client Robert's four month transformation. You are looking to lose body fat or "get shredded"
For more details on who I work with, click here. Evaluation and Planning. I will look at your past training and diet history, your goals, your preferences, your schedule, and your limitations, and develop a training and nutrition plan that will best suit your needs. We will go over how we will track your progress, and strategies to help stick with the plan. Adherence and consistency are by far the best predictors of success for any sort of training and nutrition program, so it will be important that we structure your program in a way that will maximize these two variables. Ongoing Coaching and Support. Success isn't just about having a plan, but also following through with the plan, assessing progress, and making adjustments when needed. This is where ongoing coaching and support comes in. Every week we will assess your progress, and make any necessary changes to your training or nutrition plans. We evaluate everything, including training, nutrition, sleep, stress, recovery, steps, behavior, and more. We also evaluate photos every 4 weeks. The 1:1 coaching programs also feature unlimited M-F email support. What else do I get with coaching? As long as you are a client, you get access to the Member's Area of Weightology at no additional cost, where you can see research reviews, video presentations, feature articles, and other educational content that may help you on your journey. You also get access to a private coaching group. What is flexible dieting? Flexible dieting means no foods are off limits, and you can enjoy your favorite foods, eating at parties/grandma's house, or the occasional trip to a restaurant if you can fit it into your overall calorie/macro plan (If It Fits Your Macros or IIFYM). There are no "good" or "bad" foods, or "allowed" or "disallowed" foods on a flexible dieting approach. Click here to learn more about flexible dieting. How do check-ins work? On a weekly basis, you check in with me via the coaching portal. You send me your training data, diet data, measurements, weight, and other metrics, such as steps, hunger levels, and stress ratings. You will also tell me how things are going and if you've run into any obstacles or have any concerns. We then make adjustments as needed depending upon how you are progressing. Is there a minimum time commitment? I require a minimum 2-month commitment for training/nutrition clients and nutrition-only clients. Two months is a reasonable amount of time to allow a program to work, but also give enough time to make adjustments when necessary. After that, a client can continue month to month for as long as he wishes. My goal is for you to be able to do everything without my help, but I also understand that some people like the added accountability and advice over longer periods of time. When can I expect to see results? How soon you see results will depend upon your goals. If you are looking to build muscle, this is a slow process, and visible results will not be apparent right away. Initially, your progress will be gauged by your gym performance (bigger muscles generally translate to better gym performance). If you are looking to lose fat, then this can happen more quickly and you will start to see tangible and visible results sooner. Still, sustainable fat loss is done at a slow and steady pace. We will determine the best rate of fat loss for you based on your initial starting point and your goals. Why just email support and not Instant Message or Skype? I want to make sure that I carefully consider my clients' questions, and answer them with as much detail and thought as possible. Like a true scientist, I want to be thorough. Email allows me to do this, while IM and Skype do not. How is payment handled? Initial and recurring payments are handled automatically by the coaching portal through Stripe. Do you guarantee results? I will do everything I can to help you get the best results possible, but I can never guarantee results. Your results are as much due to your own hard work and commitment as it is to my guidance. Do you give refunds? I don't do refunds because the very possibility of a refund can affect someone's level of commitment and ultimate success. I also want to prevent the rare dishonest individual from taking advantage of my services through receiving a detailed training/nutrition plan, only to turn around and extort a refund with the threat of negative feedback on the web. If you are interested in possibly working with me, then please fill out the form below, and I will get in touch with you. We can then determine whether we are a good fit for each other, and go from there. modification to your question, I only workout 2 days am willing for more or lighter exercises any days you suggest.